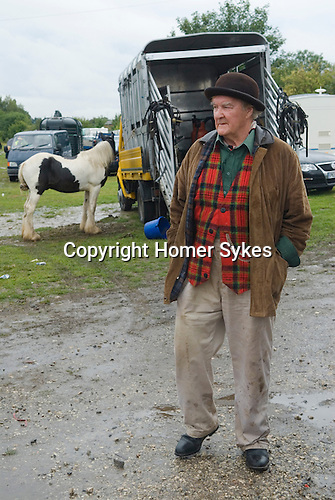 Brigg Horse Fair. Brigg Lincolnshire England 2009. Horse trader wearing Brown Derby bowler hat and tartan waistcoat.